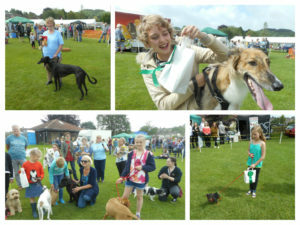 The Family Dog Show has become a firm favourite in the Ilminster Midsummer Festival and this year we have more fabulous classes. No pre registration needed – just turn up on the day and pay for each class on entry into the ring. 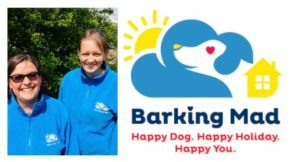 Come along to enjoy the dogs and their owners having fun. Thanks to our very generous sponsors (see list below the information panel) – we have some fantastic prizes for each class. It’s an event not to be missed. Keep a look out for lovely Barney, he will be near the dog show and is the star of the ‘Guess the Breed Competition’. 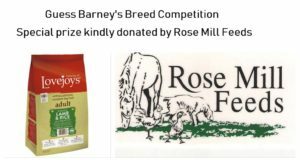 The winner will receive a special prize (2kg bag of Lovejoys dry dog food), very kindly donated by Rose Mill Feeds Ilminster. How Much: All classes £1.00 to enter. No pre-registration required, pay on entrance to the dog show ring. Guess the breed competition 50p per entry. The winner will be announced at the end of the dog show. We would like to say a very special thank you to The Gooch Charitable Trust for providing funding to purchase a new P.A. system for use during the Dog Show.